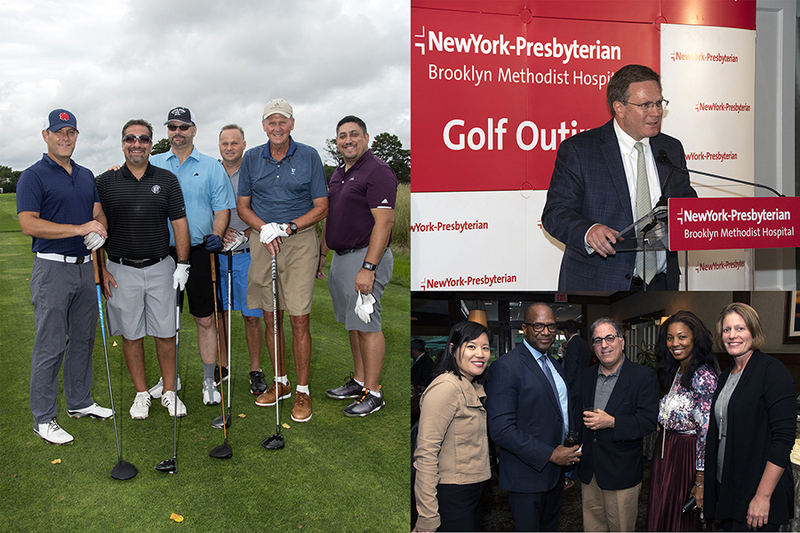 On Monday, September 17th NewYork-Presbyterian Brooklyn Methodist Hospital hosted its 24th annual Golf Outing. The Hospital’s second largest fundraiser was held at the Cherry Valley Club in Long Island and was a big success bringing in record support for our Center for Community Health. The tournament featured two shotguns, golf contests, giveaways, as well as a special spa day. In the evening, the Golf Outing’s participants and additional hospital supporters gathered at the club for a cocktail reception and awards dinner to toast the day’s success. Enjoy our Golf Outing Sizzle Reel video! We’d like to especially thank our Underwriter and Benefactors! Proceeds from the 2018 Golf Outing will support the Center for Community Health, our new state-of-the-art outpatient care building that will help us meet the healthcare needs of our Brooklyn community.